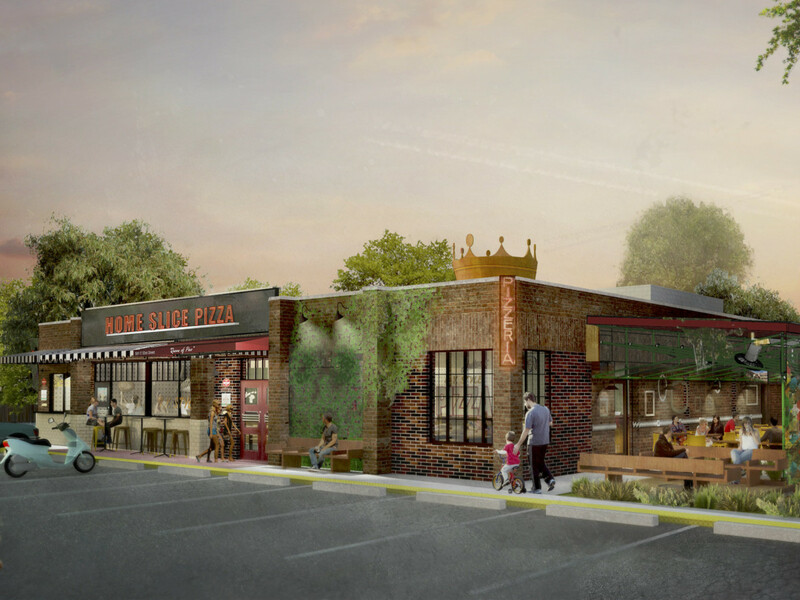 The owners of Home Slice Pizza have finally revealed details about a new outpost off North Loop Boulevard. 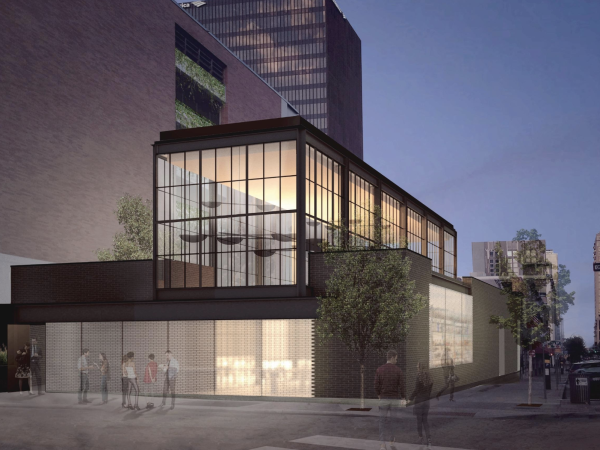 First announced in fall 2015, the new pizza joint, located at 501 E. 53rd St., is slated to open late fall 2017. 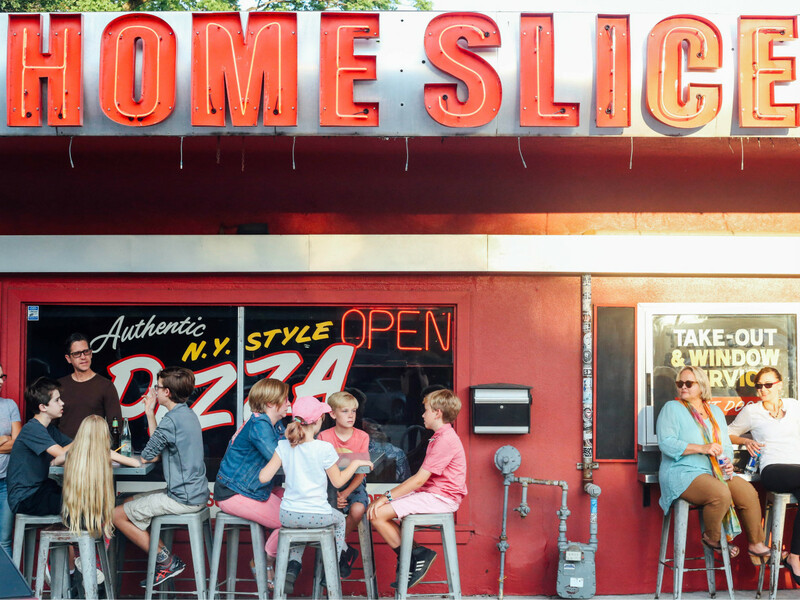 Home Slice's second location is currently under construction, and it will combine features from the original Home Slice and More Home Slice annex, including full-service dine-in, takeout, patio seating, and indoor and outdoor bar seating, with the bonus of twice the onsite parking. 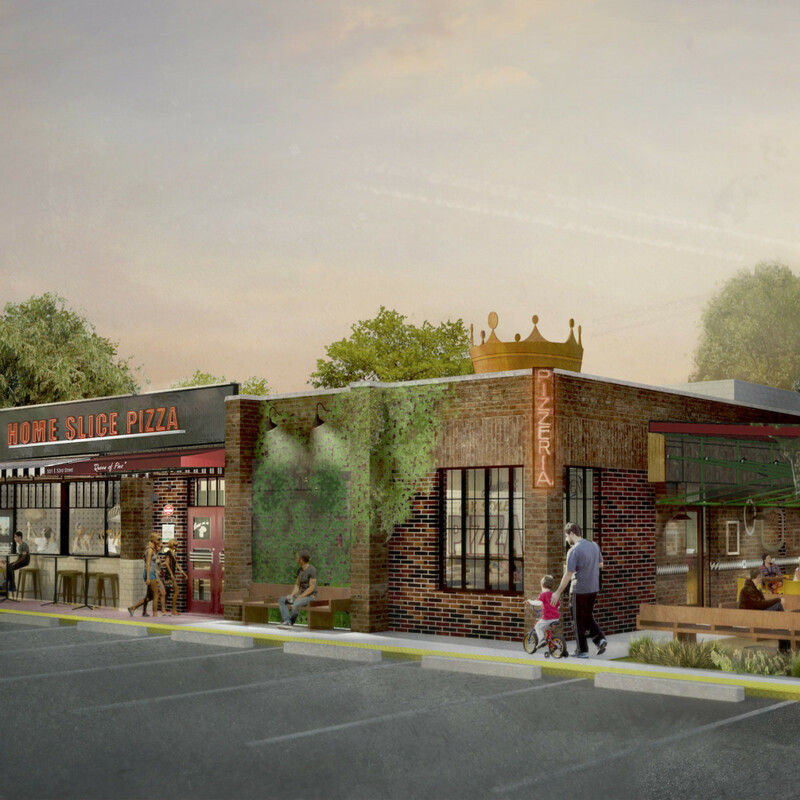 “We look forward to soon delighting our customers, both familiar and new, in a welcoming, vibrant, accessible neighborhood like North Loop,” says Jen Scoville Strickland, co-founder of Home Slice Pizza, in a press release. 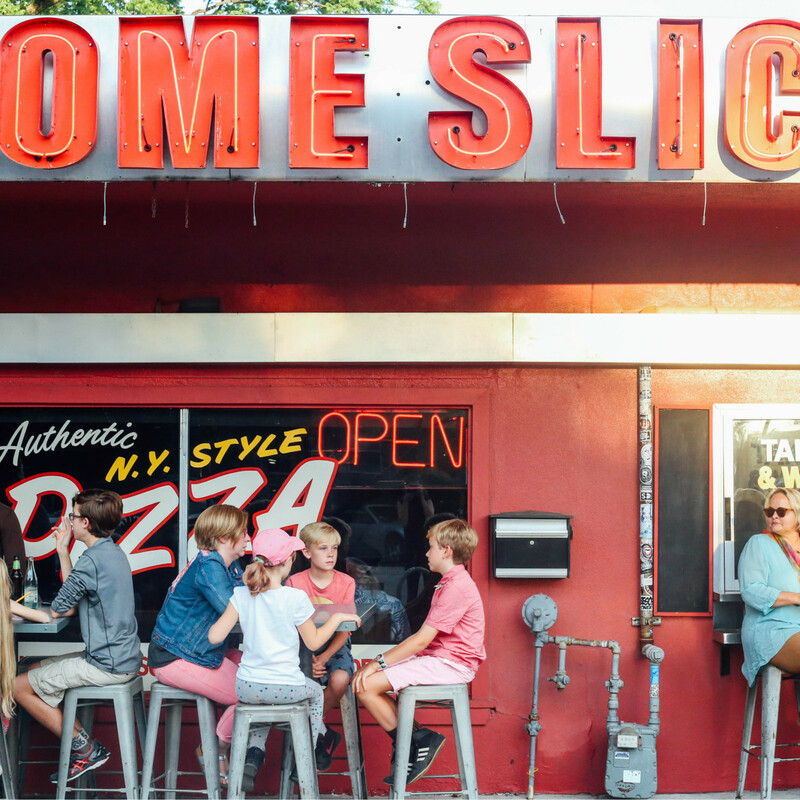 The team spent years planning the new location to bring their tasty New York-style pizza to Central Austin. Plans to expand the menu to include Buffalo wings, a standard offering at pizzerias in the Northeast. “Buffalo wings are part of almost every pizzeria experience where I grew up,” says Scoville Strickland, who grew up in Geneseo, New York, a small town near Buffalo. “And just like the claim we make with our New York-style pies, we are looking forward to turning Austin on to this regional delicacy done right." Another menu highlight is the Sicilian square pie, a specialty currently available only on Mondays and Thursdays at the South Congress location. 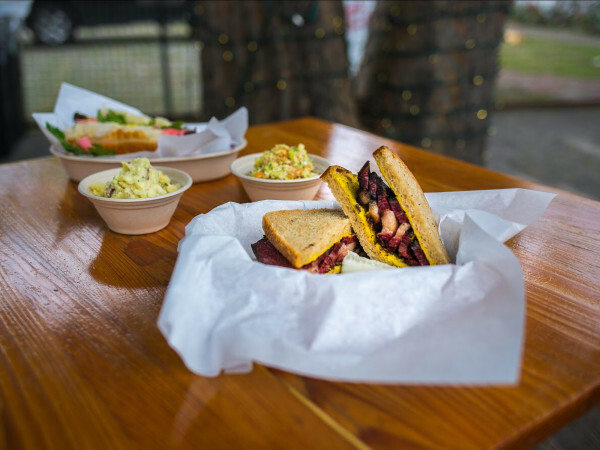 It will be available daily at the North Loop outpost. This sheet pan pizza is the passion project of former Kitchen Manager Phil Korshak, who regularly visited shops in New York and California to perfect the recipe. It took the team years to develop, and it requires an entirely separate production process from Home Slice’s typical New York-style dough. 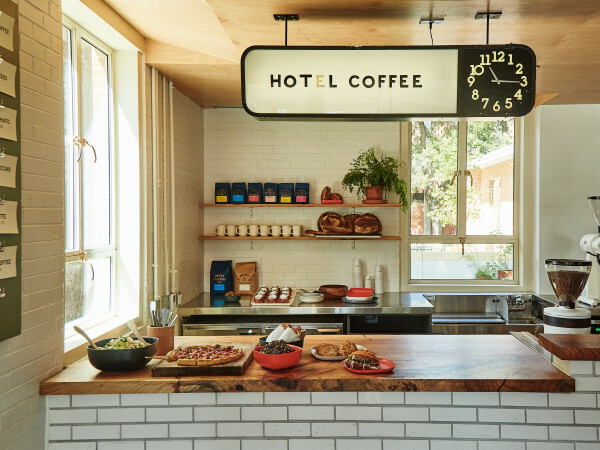 The new Home Slice will also include a full bar with a classic cocktail program, select vermouths and amari, and a curated selection of spirits. "Our cocktail list will focus on simple, delicious drinks that have stood the test of time,” says Nano Whitman, director of operations of the new location, in the release. Whitman has served as manager and wine buyer since the original SoCo restaurant opened. Whitman is expanding the draft beer selections to reflect the recent explosion of locally produced craft beers; the North Loop location will continue to pour affordable Italian boutique wines by the glass, bottle, and carafe.